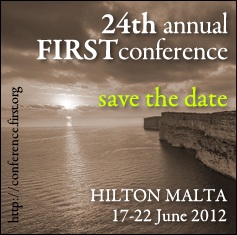 Thu, 21 Jun 2012 : : Live from FIRSTCON...the Latest DRG Challenge news! If you're attending FIRSTCON Malta, don't miss this podcast! Featuring Scott Vowels, a volunteer member with the Dragon Research Group (DRG) – get an understanding of what the DRG is about and their upcoming projects – including the Security Challenge. 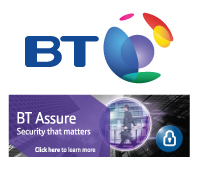 Gain insight on how to sign-up for the Security Challenge in Malta, the structure of the challenges and where to find the DRG crew at the conference for questions. Episode 4 features Patrick Cain, resident research fellow with the Anti-Phishing Working Group (APWG) and the President of The Cooper-Cain Group, Inc. in Boston, MA – a US-based computer and internet security consultancy. He's been associated with information security development and operations for over 25 years and drives the APWG's data collection and sharing initiatives. Martin and Chris talk to Patrick about his work with the APWG and his upcoming FIRST presentation, "Sharing Crime Data Across International Frontiers." Patrick presents on Tuesday, 19th June at 17:05 in the Policy & Management track. Join the interview in progress... Wes is a security engineer, threat analyst and (primary) code-monkey with the Research and Education Networking Information Sharing and Analysis Center (REN-ISAC). He is the primary architect of the REN-ISAC Security Event System – a standard based information system that moves security intelligence messages throughout its diverse academic community. Wes presents on Friday at 14:25 under the Deep Technical Dives track – "Sharing data's hard, here's how we did it." We'd like to welcome newcomer Facebook to the 2012 Sponsorship Team! This is Facebook's first time sponsoring the Annual Conference and the first year sending incident response team members to participate in the conference. Please be sure to check out Chad Green and Ryan McGeehan on Thursday the 21st on the mainstage! Martin and Chris chat with Lance Spitzner, FIRST 2012 Keynote and Training Director for SANS Securing the Human Program at the SANS Institute. Lance is an internationally recognized leader in the field of cyber threat research and security training awareness. He has helped develop and implement numerous multi-cultural security awareness programs around the world. He's passionate about security awareness and the importance of understanding the human element. Don't miss Lance's keynote on Friday the 22nd at 09:45 in the Grandmaster Suite. Thu, 31 May 2012 : : 2012 Podcast Series Kick Off! Here we go! Kicking off the 24th Annual FIRST Conference podcast series, Martin McKeay and Chris John Riley talk to Dr. Jose Nazario, Senior Researcher at Arbor Networks and the 2012 Conference Program Chair. Learn how Jose got involved, his experience within the FIRST community and how this year's program agenda came together. Gain insight on this year's keynote presentations, plenaries, highlight sessions, and the overall uniqueness that defines FIRST as a premier global organization. "IT Security @ EC: Challenges & Experiences"
"Defending Cyberspace—Global Challenges Require Global Response"
"Saving the World of Security—The Past, Present and Future"
Want to be added to our mailing list? Send us an email at first-2012@first.org.